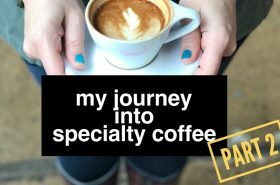 My Journey into Specialty Coffee & 3 Tips to Help YOU take that first step! 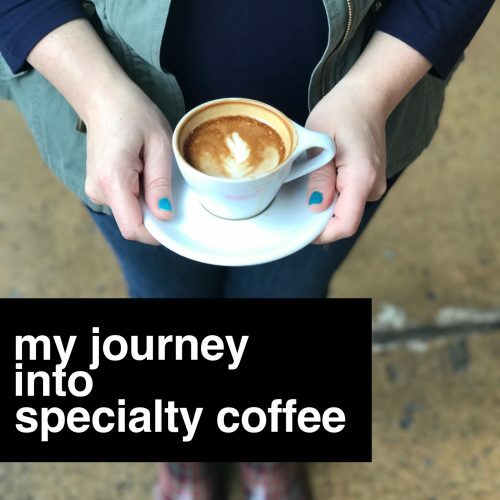 My Journey into Specialty Coffee & 3 Tips to Help YOU take that first step! At Home with the "CT"
In honor of my 100th blog post, I wanted to give you, my readers something special. Content that would help you and hopefully deepen your interest in the brewing process. I realize many of you reading this are very happy with your morning Folgers, K-cup or french vanilla. A few years ago, I was too – that is where the story begins. My very first cup of coffee was Taster’s Choice. You know, the granulated coffee that dissolves in hot water? I added a tablespoon of Coffeemate creamer and sugar. It was the perfect first cup of the morning. 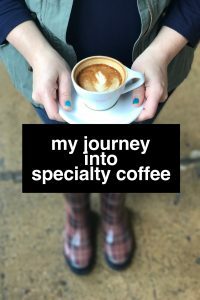 As I got older I wanted my coffee to be special, so one day I walked into my first specialty coffee shop. Wow – the menu was daunting! Specialty Coffee is well prepared, freshly roasted & properly brewed. When your only coffee experience has been heating water and adding a tablespoon of coffee granuals, how do you know what to order??? I thought about what I drank at home….I liked my coffee creamy and sweet. I saw picture of a latte on the menu board – it looked similar to my morning coffee. Then I saw almond syrup on the menu, yum! That almond latte was my first specialty coffee and it was delicious! For years, this was my go-to drink. One visit, while waiting for my latte, I noticed the barista ground the coffee before brewing …..hmmmmm. Should I grind my coffee? It made sense to me why you would grind the coffee first. 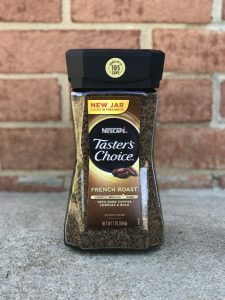 I knew it would make the coffee taste fresher, but do I want to take the time to do this at home?Â I decided to give it a try, and this was my first step towards specialty coffee at home! 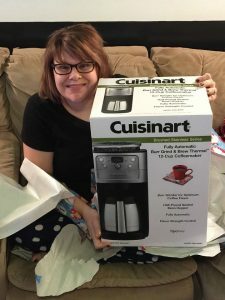 I asked for a Cuisinart Grind and Brew for Christmas. 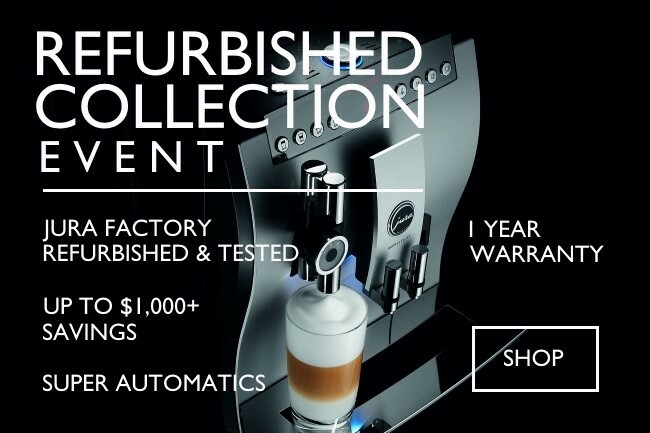 This coffee maker grinds your beans and then brews the coffee, all with ONEÂ push of a button! This seemed easy enough and made me feel confident in the transition from buying pre-ground at the grocery store to buying beans at the coffee shop. This first step was super easy and my morning coffee actually tasted much better than the coffee granuals I had been mixing with hot water, lol. 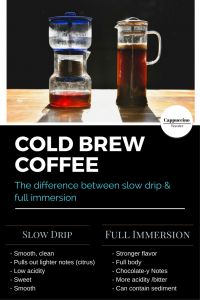 This experience wet my appetite for better coffee! Taking a risk in my comfortable coffee routine wasn’t so bad after all. But how did I go from grinding my beans to where I am now? One drink at a time. Coffee brings a level of comfort to all of us. We don’t want to change and I get that. My journey has taken years, small steps at a time. Â I remembered the first time using a french press- I was terrified! I wondered,Â “Will this actually work? There are so many steps. This was so far from a push of a button!”Â My first french press at home was a mess! It was too strong and there were coffee grinds in my cup; and let me tell you, Â I didn’t touch it again for a week! One afternoon, I decided to try it again and this time it turned out great! Each step I took gave me more confidence to try something else . Ready for some easy tips to help YOU take your first steps towards specialty coffee at home? Buy distilled or purified water. This first step will greatly improve the taste of your coffee. Look into coffee grinders. You can purchase one for as little as $10. Purchase a bag of coffee beans and grind them per the manual. Try this for your afternoon cup. 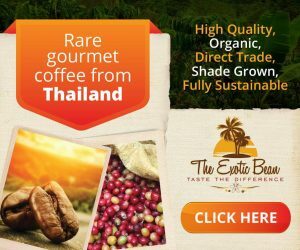 So now maybe you’reÂ ready to step out and try………Little did I know that each step I took as the years passed would lead me to where I am today, a third wave coffee nerd, lol! 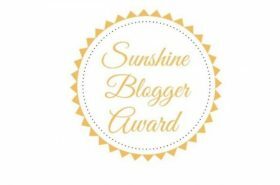 But I will save the rest of that story for next week in part 2 and I hope you will be reading! The Coffee Shops of Nags Head, NC. I have come a long way with my coffee tastes too. I do grind my own beans each morning, but use a coffee maker during the week. Weekends are for French Press or Pour overs at home. When I go to a specialty coffee shop, I stay away from flavored syrups and go for a strong brewed coffee or pour over. Fun fact: My husband and I want to open a coffee shop in Dallas in a few years! That is a fun fact – I love Dallas! You have come along way and stay tuned for part 2 when things get more technical and nerdy – lol! 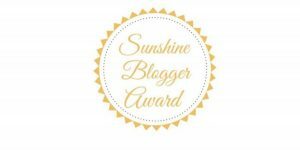 Thanks much for reading!!! He girlie this is Christy I love coffee more now then I use to. I used to just drink maxwell house. Now I drink different brands, and flavers. Never realize how good it is till now. Thanks for all the tips. Congrats on your 100th post! My own coffee story is a long one. I got the taste of it as a very young child (4-7) while living in Panama. Out maid would give my sister and I coffee with lots of milk and sugar. Back in the U.S. I drank folgers, etc. When I went to college in California, my coffee world expanded and I learned to love truly great coffee, further reinforced by living in Europe where the coffee is just amazeballs! 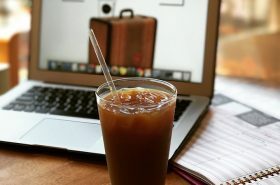 Your coffee journey continues and we lucky readers get to follow along! Thanks so much Andi and thanks for reading! Good post! It was good hearing part of your journey! Oh, I LOVE specialty coffee! My favourite is still a pretty ‘standard coffee’ though. Flat white with an extra shot, vanilla shot, and soy milk. You know, just to be annoying haha. I haven’t tried making my own coffees at home yet, but I definitely want to give it a shot! I’ve been drinking coffee since I was 7 years old. It’s in my blood! I’ve come to realize that I’m a little different than most coffee drinkers. Though I can easily identify good coffee and greatly appreciate it, I also can enjoy just about any cup of coffee as long as it’s not too sweet. I’ve had the amazing opportunity to live close to some incredible specialty coffee shops and I’ve had a chance to try some great places. I’m excited to continue my journey to find my perfect coffee. Oh my goodness! Lol, we started off with a cuisnart grind and brew too many years ago. And in the past year we have slowly graduated to a burr grind system, and are working our way toward a new brewing system (Bonavita). But I can relate so much with this post! 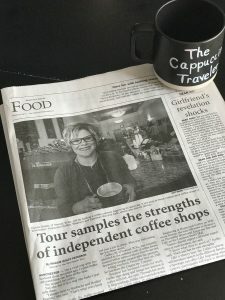 It has been such a fun journey learning about different ways to make coffee, coffee notes, and everything else that before following The Cappuccino Traveler I never knew existed!